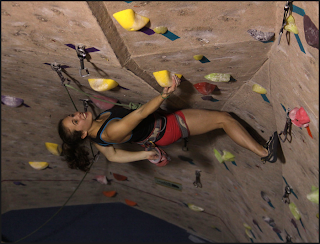 Every Spring, the anticipation for the rope climbing season builds and builds, and all of Aiguille Rock Climbing Center knows that a competition is coming. 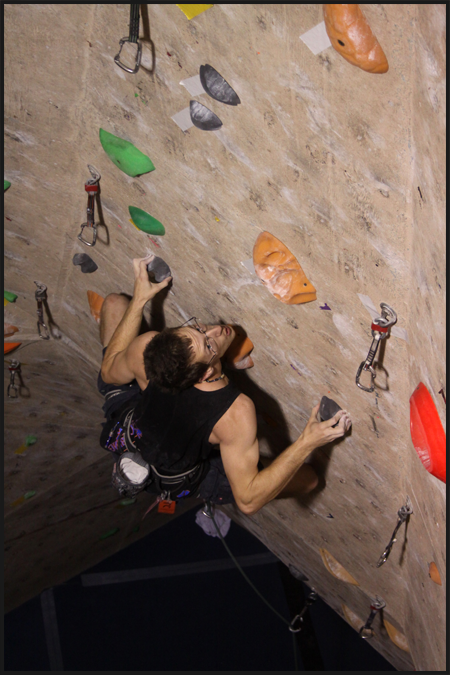 On March 31st, Aiguille opened its doors to the 2012 Collegiate Climbing Series Regional Competition and the 2012 Sport Climbing Series Local Competition. Competitors from all over what USA Climbing categorizes as the “Deep South” travel to Longwood in order to climb some of the hardest rope routes that Aiguille has ever set. By Tuesday night, the gym seems naked and almost vacant as employees have worked hard for the past twelve hours stripping off every hold on walls 11-27 and all of the lead room. Members look on with a slight sadness, thinking of all the unsent projects they had left, but hopeful and excited to see the true artistry that was about to begin. Head Routesetter Mark Mercer and the setting team, including David Carmona, Aubrey Wingo, Dean Pflaumer, and Eugene Hoberg, would spend the next three days in their harnesses atop ladders bolting and unbolting bright crimps and vibrant slopers of all colors, creating the routes that were going to determine who the best in the Deep South would be. 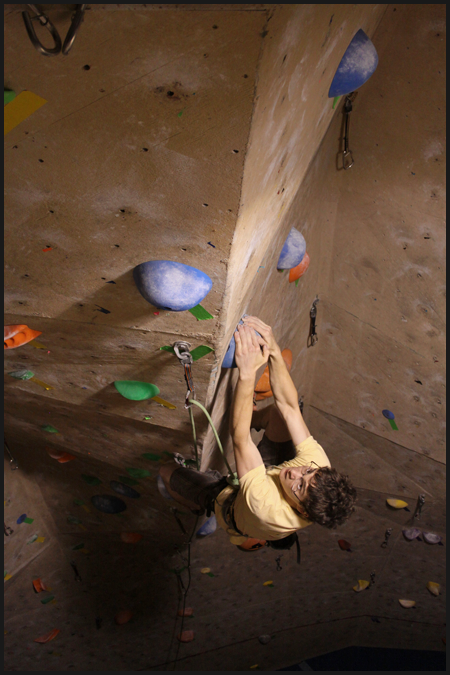 While Aiguille has hosted the CCS Regionals in the past, 2012 would mark the first year that not only was endurance going to be required for the stiff rope climbing ahead, but competitors would have to prove powerful as well, with the addition of thirty boulder problems for the college competitors. The youth competitors for the afternoon would have to remain stoked for only roped climbing. The morning of the 31st came quite quickly. Setters made last minutes tweaks, volunteer belayers harnessed up, and slowly, college students from across the state filed in, picking up their scorecards and competition shirts designed by Guillermo Casanova. Gathering to hear all the rules and a few words from CCS Regional Coordinator Caleigh Louis, competitors were eventually let loose, struggling to decide whether to start with bouldering or rope, which routes to warm up on, what their projects were going to be; these decisions could make or break a competitors chances on getting that first place podium. There were sends and there were whips, it was a great performance from everyone! Exhausted from their triumphs and defeats, competitors waited anxiously for the scores to be announced and excited to see which school would hold the title of Regional Champions. While the University of Florida men would dominate the scoreboard, taking all top positions, the University of Central Florida ladies would take top honors in this competition and would lead UCF to be the 2012 Florida Regional Champions for the fourth year in a row. The CCS National Championship was held on April 21st where UCF Competitor Jessica Jenkins crushed it and took 6th place in difficulty and speed in the nation and Rollins Competitor Jeni Collins holds the 10th place position in difficulty. 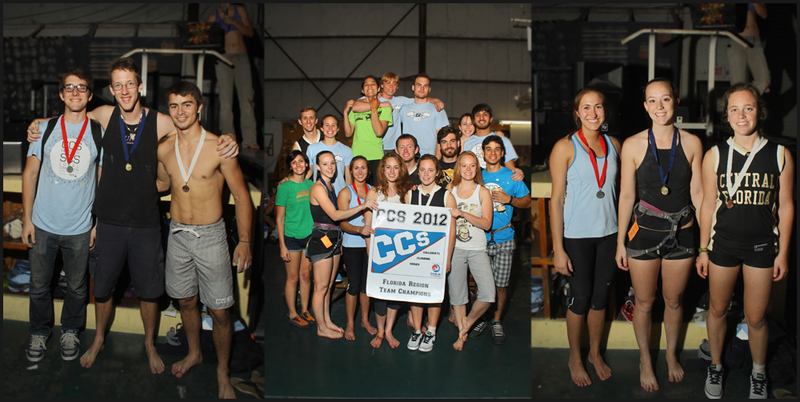 For results for the CCS Regional Competition at Aiguille Rock Climbing Center, please click here. For the Florida Regional Scores, please click here. The afternoon would present the second bout of supreme athleticism with the SCS Local Competition and its youth competitors from all over the Deep South. Supportive parents would set up their chairs to get the best views and youth coaches would gather their teams together for one more rally, listening to words of encouragement and getting psyched for the climbing that was about to ensue. Once SCS Regional Coordinator Jim Norton announced the rules, the games had begun and children ages six to nineteen, with a few adult SCS competitors, ran to put their scorecards at the appropriate station to begin the warm-up. 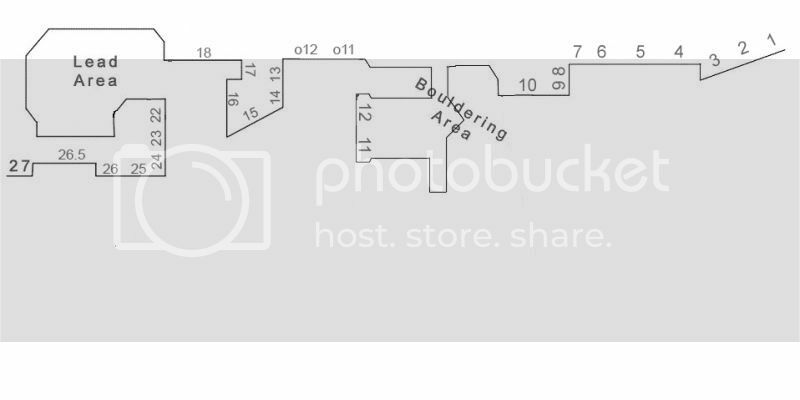 The younger ones would only be looking at the top roping walls, having to decide what style they would prefer: overhung and powerful routes, technical and “balancy” dihedrals, or cautious and tentative movement of slab climbing. 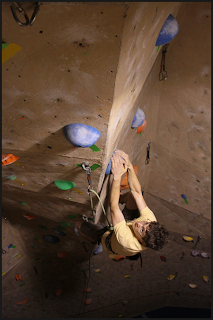 Older climbers would face similar obstacles but were also confronted with the greater risk of lead climbing, where the fall potential pushes a climber’s adrenaline much farther, requiring more focus and energy conservation. 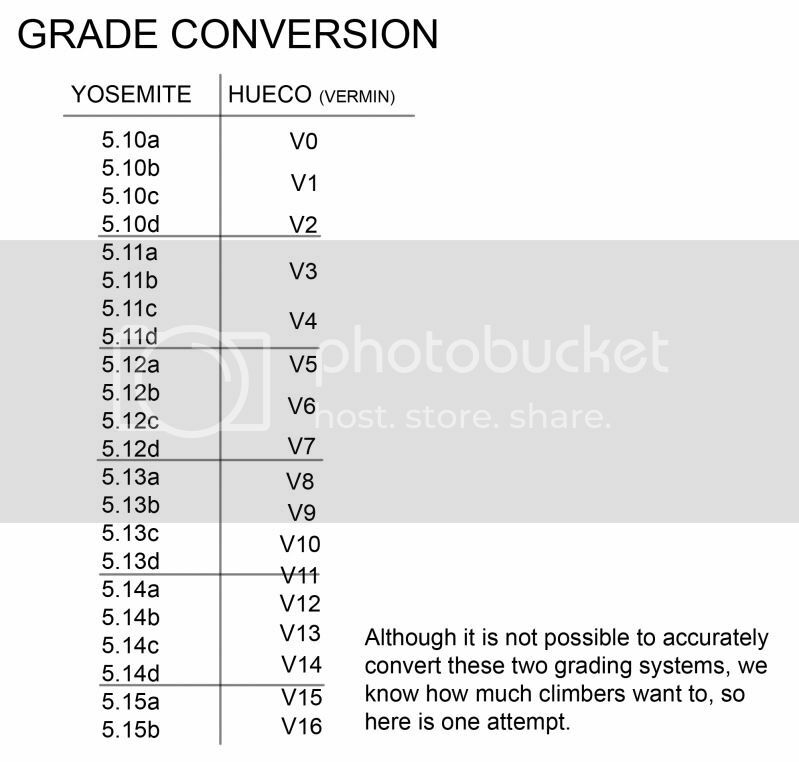 David Eisenstadt would be the only climber of the entire day to send the two most difficult routes in the lead area (green and white in the lead cave) and inevitably take the win in his age category. Team Aiguille and the other Deep South youths will be competing in the Regional Championship on May 12 at On The Edge in Melbourne, FL. For scoresheets for the SCS Local Competition, please click here. Overall, in this writer’s opinion, Aiguille Rock Climbing Center’s 2012 CCS/SCS Competitions were the most successful in this year’s climbing circuit: injury-free, exciting atmosphere, amazing sportsmanship, and an all around good time. We congratulate all our competitors for doing such an amazing job and making this competition so much fun to host every year. A big thanks goes out to all our setters and their hard work, to our volunteer belayers for helping catch all these strong climbers, to all our sponsors, Team Aiguille for providing delicious pizza, and to everyone that attended. Photos from this event can be views at the Aiguille Facebook. I've just downloaded iStripper, and now I can watch the sexiest virtual strippers stripping on my taskbar.